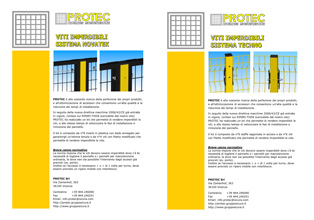 Here you can see the contents of the newsletter sent by Protec, divided by subject. 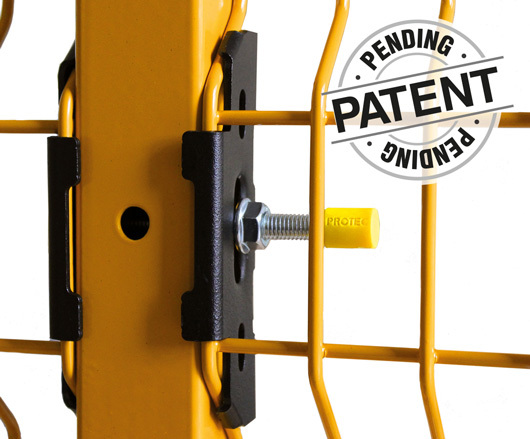 The STRONG Techno security system is implemented from mesh panels with Ø4mm wire and posts with a section of 50x50; matching is done through iron printed plates and linking-through screws. The system is mainly used to define the hazardous areas, having to guarantee high impact resistance combined with a high flexibility. The new patented system complies with current regulations. The new machine directive dictates that "fixing systems must remain connecteded to the guards or the machine when the guards are removed". The screws must be unloosble, only where there is the need to remove the panel or panels for ordinary maintenance, where it is not possible to operate from the already provided access (eg doors). 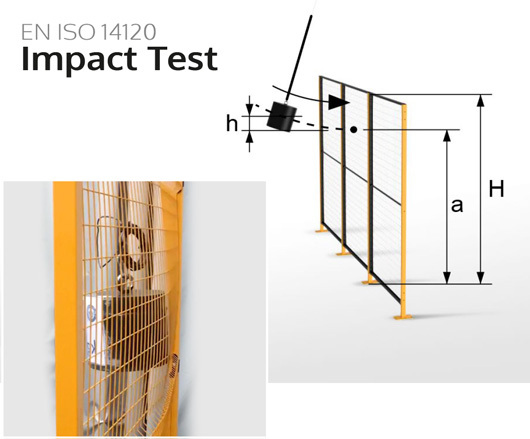 The UNI EN 14120 standard says: Movable guards, if the access frequency is high (more than once a week), or if the removal of the fixed guard could be difficult, must be provided a movable guard with interlock. The kit is already included in the new online downloadable catalog or you can ask for. Look at the heavy impact tests, downloadable in the reserved area. Inside this area, you will also find the Rev.2 of the instruction manual and all the blocks to auto-create your protection. 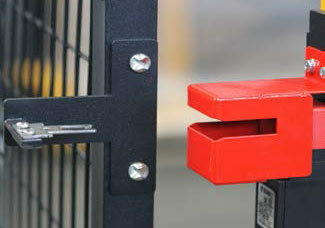 Protec designed this new component in order to minimize the delivery time of protection fences. 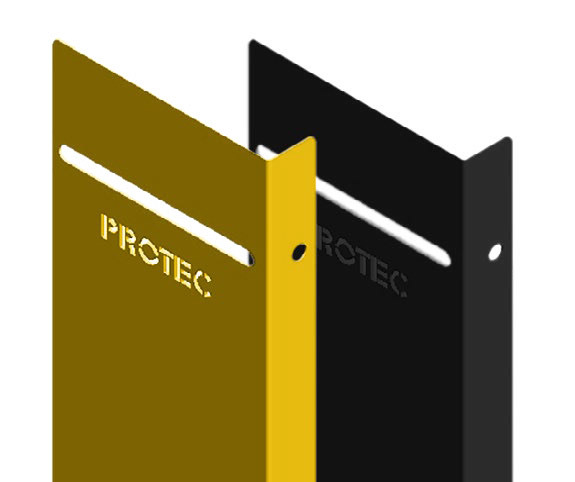 This patented kit increases the modular adaptability of Novatek and Ecotek panels. 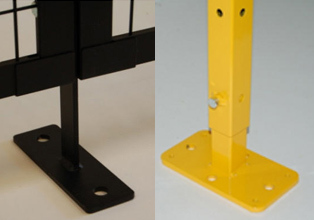 It easily allows to elongate the base of each panel of 30mm to 120mm, by fixing specific screws. Extension kit includes panel-upright fixing screws (medium) (code KFNV003). 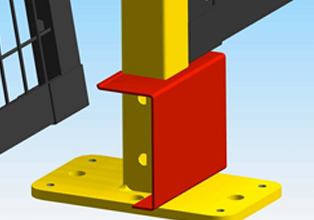 The fixing bracket born to further reduce costs and it will be use in the NOVATEK and ECOTEK lines. The solution is recommended when there are a combination of a couple or more panel with the same length. The Techno Inox system was created to offer a solution in steel INOX at low cost and simple to install. 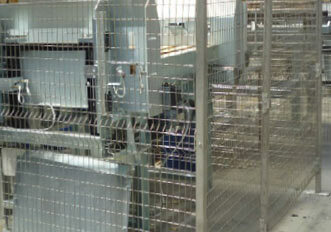 This product was created as freestanding panel, with a network designed to improve the vision of segregated machinery. We have realized systems that integrated with our modular safety protections make complain the safety devices relative to Norm UNI EN 14119 Table 3. PROTEC shock resistant protections are the latest evolution in terms of bumper systems. 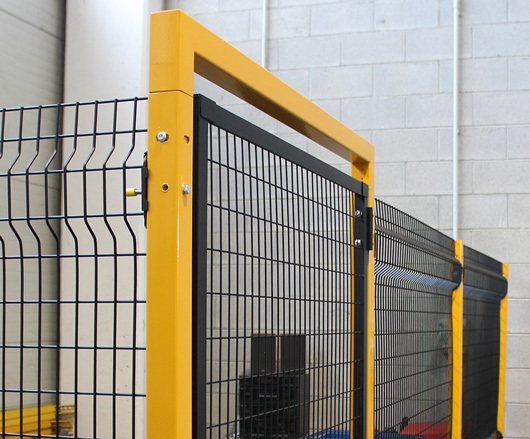 They are ideal for protection of walls, columns, doorways, industrial shelving, perimeters of machinery from impact of trucks on the move. They are made of plastic with full and anti-crushing section. 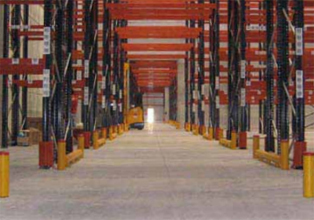 Moreover they are extremely strong and more flexible than normal steel solutions due to the particular fastening system “save floor”. Grounding: What do we mean by grounding? When is it used with perimetral protection systems? Quick Novatek: QUICK NOVATEK is a kit designed exclusively to reduce installation time and make installation even by a single operator. 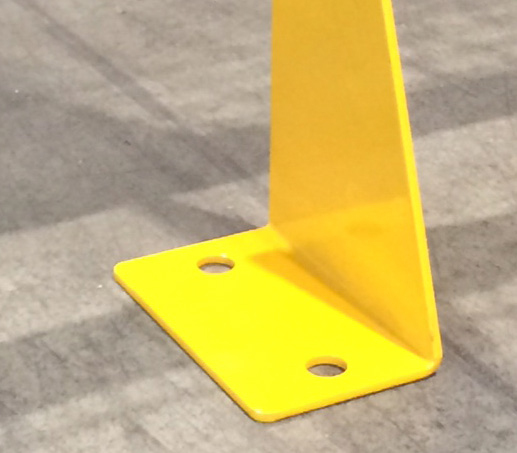 The post is a key factor in ensuring high impact resistance, for this reason all our posts are made of welded steel plate. The advantages of using a plate welded are: Strength and speed of installation. Our post is a unique body which makes it more practical and faster to install in comparison to traditional pre-punched hole posts. PROTEC is at constant research for product improvement; optimization of accessories that enable high quality and reduce installation time. Following the new Machinery Directive 2006/42/CE already entered in force.